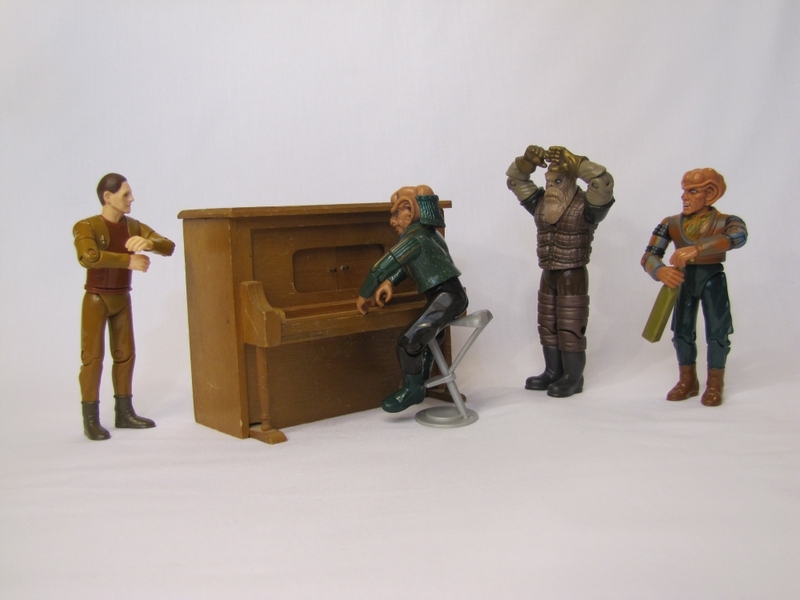 It didn't take long for Quark to regret his decision to bring a piano into the bar when Rom took the opportunity to play his rendition of Billy Joel's "Piano Man". The evening came to an abrupt end when Morn, drunk from five straight bottles of Aldebaran whiskey, stuck a spoon to his forehead and started mocking Dukat. 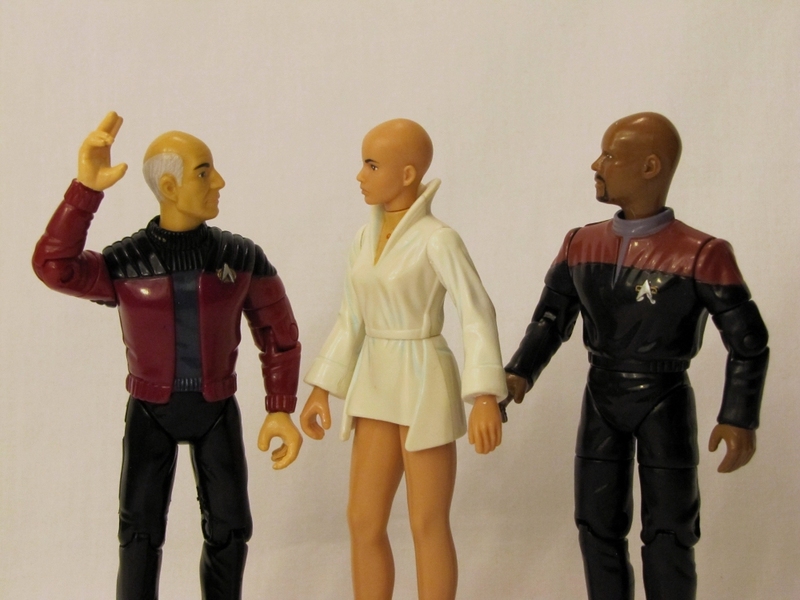 Picard: "Yes! In the 24th century, they don't care whether you have hair or not!" 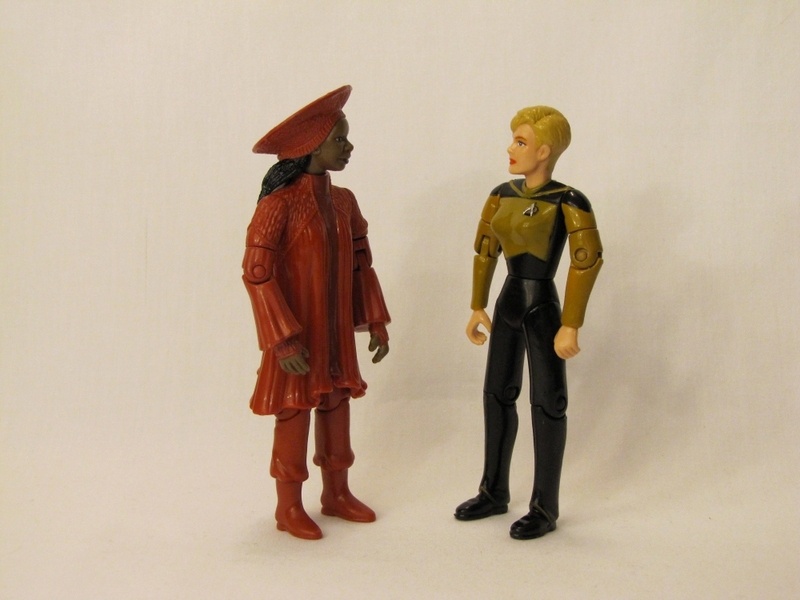 Guinan: "Not only was it a senseless death, but you were killed by a mixture of black ink and Metamucel." 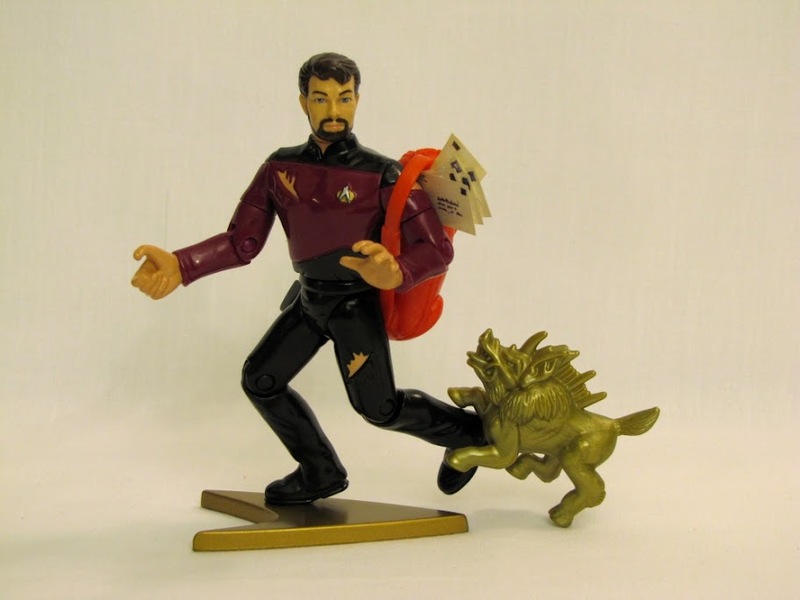 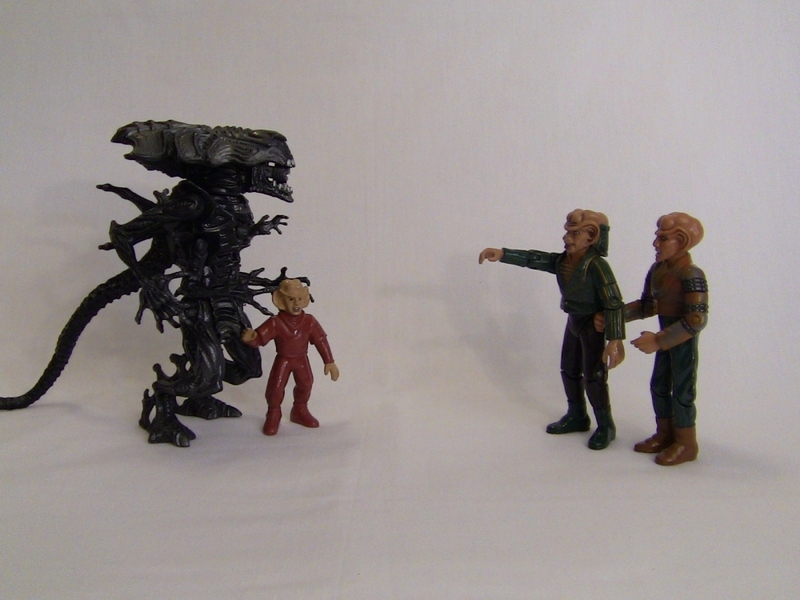 Rom: "Get away from him, you b… ummm, nevermind!"